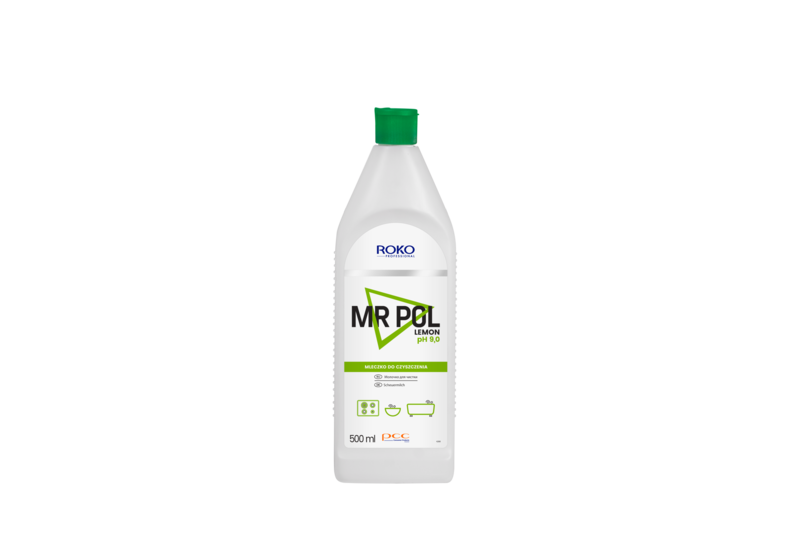 ROKO PROFESSIONAL MR POL is an efficient cleaning milk that effectively removes scorch of food, fat and dirt, without scratching the surface. It is very effective on enamelled, chrome-plated, ceramic and plastic surfaces. It leaves a pleasant citrus fragrance. It is a high density product at 1.4kg/l, intended for professional use. cleaning milk scorch removal burnt pot cleaning fat removal dirt removal cleaning enamelled surfaces cleaning chrome-plated surfaces cleaning ceramic surfaces.